If you are looking for a premium salon experience, then look no further than Chic and Cheek. The team strives to provide the best pampering experience in the whole of Laredo. The salon offers full beauty, pedicure, manicure, waxing, and hair packages tailored just for you in one sweet shortstop. 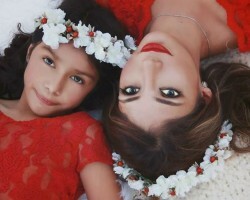 Skilled Laredo makeup artists are here at your disposal; so, let the team of highly qualified experts make you gorgeous and take you, if for a short moment, to a more serene and relaxing place. Be sure to look for their seasonal package deals for weddings and proms. Iris Kiefer specializes in permanent makeup. When you need confidence and long lasting convenience, her expertise might just be the perfect match for you. She applies her craft in a wide range of services creating the perfect illusion at affordable prices. Whether you need remarkable shaded eyebrows, stunning full lips, permanent lip color for that amazing smile or full bodied eyeliners you can turn to her. Iris Kiefer is joined by her husband, an expert photographer Bert Kiefer, in delivering quality full-service package for bridal, engagement and prom needs. 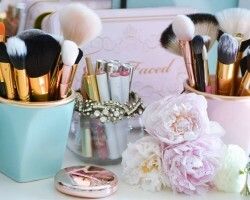 Considered one of best makeup artist in Laredo, TX, you certainly cannot go wrong when choosing Margaret Hogan Studio. Margaret Hogan has over 27 years of experience in the field of makeup artistry. Joined by her daughter, and a team of professionals, the studio offers full-service package tailored for your enjoyment, ranging from tanning, waxing and makeup application. 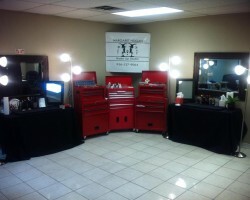 With a move to a new, attractive venue, Margaret Hogan started "Itz On" classes on makeup and eyelash application. And if popular reviews are anything to go by, you will be extremely satisfied. Martha is a graduate of “Cinema Makeup School“, a well known Hollywood's professional makeup education centre. Upon her return to Texas, she opened her own studio where she focuses on unique, flawless makeup application which immediately impresses the clients. Artist at heart, her ambition drives her to expand beyond pure makeup application. She has broad experience which ranges from fashion, film and runway to prom and bridal makeup services. She offers basic face painting for children at birthday parties. And with offers of maternity belly painting, you can be sure she can provide something for everyone. Voted as “Best of the Best” by Laredo Morning Times in 2015 and 2016, Bombshell artistry specializes in wedding hair and makeup. Led by Mika Ziesman, skillful beauty specialist, a team of professional artists will travel to your local location on that momentous wedding day. Guided by your wishes, they choose the perfect match of foundation, lipstick color, eyeshadow and even the size of false lashes. By using custom airbrush techniques, they ensure that makeup is water and sweat proof, and above all long lasting. With their professional service at your disposal, you can put your mind at ease and concentrate on what really matters.